Brideshead Revisited is the first contact I have had with Evelyn Waugh, and I now find myself completely overwhelmed with the desire to explore and read more of his work. I enjoy a book that is a challenge, so that I can feel I have achieved something when I finally shut the cover for the last time, and this is how I felt having finished Brideshead. Waugh’s style was a little difficult to get used to with at first, but I soon found myself reading as though from book I had read many times before, whose words knew so well. Waugh’s writing was once described by Gore Vidal as “so chaste that at times one longs for a violation of syntax to suggest that its creator is fallible, or at least part American”, and when I first read this it struck me as an almost perfect sentiment, I don’t feel I can fault the style, while it is in many ways different to what I am used to, it works, almost perfectly. Something I found most striking, and indeed satisfying, about Waugh’s style is his trademark use of rapid dialogue, unattributed but with the effect that the reader knows exactly who is speaking. This had such a profound effect that I felt as though I could actually hold a conversation with many of the characters in the book. Brideshead Revisited is a nostalgic look back on post war England, through the story of Charles Ryder, a captain in the British Military during WWII, who returns to a place he once knew so well – the home of the Marchmain family. The novel serves as Charles’ reflection on a time when his life became intertwined with that of the Marchmain’s, a highly privileged, catholic family, one of the few remnants of a rapidly vanishing world. Charles original contact with the family was during his time at Oxford University, attached to the hip of the youngest son Sebastian, a charming, lovable figure, with an inability to let go of his childhood, as shown by his constant companion, Aloysius the teddy bear. Charles seemed so infatuated with every aspect of Sebastian, his profile, his conversation, his home, that the relationship seemed to me transcend that between just friends, and become almost romantic. Charles found himself enchanted next by Sebastian’s family, bemused by their religion, charmed by the forgiving mother, and even the rogue father. Before finding himself engaged in a short but passionate love affair with the elder sister Julia, a girl so alike Sebastian in so many ways. Despite the apparent closeness that Charles is said to have shared with the family, there was a single dividing factor mentioned throughout the novel which seemed sure to separate these lives which at first seemed so inextricably linked. It was not the Marchmain family’s position in society that sets them apart from Charles Ryder, but rather their religion. The presence of the Catholic church in the Marchmain household which was often a matter of contention during conversation between Charles and the Marchmain family. It was Catholicism which eventually reclaims even the shamed Lord Marchmain, who lived for years with his mistress, before proclaiming his belief during the last moments of his life. Finally it was Catholicism which drove Charles and Julia apart, when she realised that she could no longer commit to a life of sin. Such are the memories that pass though Captain Charles Ryder’s mind as he stands in the closed chapel of the Marchmain family home upon his return in the midst of WWII. It seems as though his life will forever be drawn back towards this family, a family with whom he shall forever be spiritually distanced. 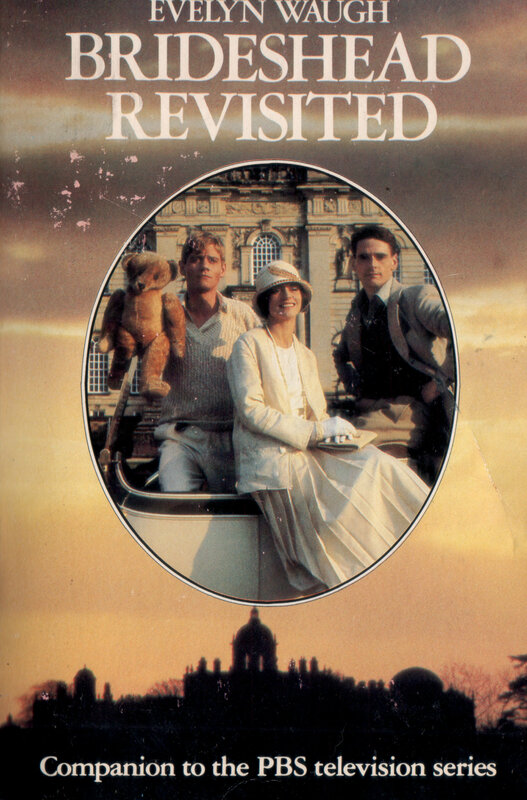 While I enjoyed the story itself very much, what stands out the most is that I feel almost as though these could be my own memories, and that I only have to open the book to be transformed once more to a carefree summer afternoon on the terrace of Brideshead. I cannot claim to fully understand the writing of Waugh from reading just one novel, needless to say there will definitely be more Waugh reviews to come. I’m sure when I’ve read more I will look back on this one with a more educated eye. Until then, watch this space.